Which Type of Cooling Is Right for You? | Sierra Pacific Home & Comfort, Inc. Which Type of Cooling Is Right for You? If you’re reading this post, you may have just learned that there are different types of air conditioning available to you. And we aren’t just referring to different brands. Depending on your needs and the configuration of your current heating or cooling systems (if any), there are different options available for you. We’ll go over three cooling methods that can benefit anyone thinking of replacing or installing a new system. This is the kind of air conditioning that most people are familiar with. 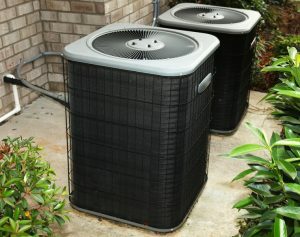 In fact, central air installation is one of the most common air conditioning services in Sacramento, CA. The defining characteristic of central air is its use of ducts to disperse cold air through all the rooms of your home. Depending on where you live, the homes may have been built with a system of ducts for home heating use. Conveniently, a central air system can be installed and configured to work with these ducts. If this is the case for you, then going with a central air system is the most logical choice. One drawback of central air systems is that they only send cool air into the home. With a heat pump, however, you simply flip a switch to reverse the flow of hot and cool air. This means that if you don’t have any heating or cooling systems installed, a heat pump can perform the function of a heater and central air system in one product. Heat pumps can be installed to work with ducts, but they can also come as individual units that eliminate the need for ducts. Although this cost is more expensive upfront, the flexibility and efficiency it gives you as a homeowner is unmatched. A ductless heat pump system allows you to control the temperature in each room individually, meaning you have full customization over how much energy you use. Plus, the fact that they don’t have to push air through ducts makes them more efficient. Do you love the idea of air conditioning but just not sure you can afford it? Or maybe you use air conditioning now but dread the thought of looking at your next energy bill? Whole-house cooling fans are an economical choice, either on their own or as a supplement to your current cooling system. These fans constantly flush warm and stale air out of your home, thus cooling your house down in the process. If you already have AC, a cooling fan can help you save on energy. For example, run your cooling fan during the morning and night. By mid-day, you can blast your AC to deal with the worst of the heat. You can go from running your AC 24/7 to just a few hours every day. Typically, the only drawback of these fans is that they’re extremely loud, but brands like QuietCool have managed to solve this problem. Tired of sitting in the heat? We can help! Contact Sierra Pacific today for more info on all your cooling options.